If you want elegant and comfortable traditional riding boots, you should definitely own Ariat English riding boots. Having cutting edge style and performance, Ariat brings high quality riding boots for every type of rider. 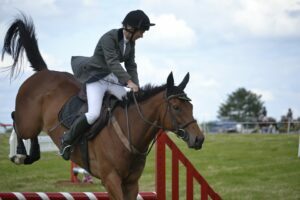 There are many different styles of riding but most common riding styles are western riding style and English riding style. The basic difference between these both styles is the difference of tack, gear and sometimes horses. Whatever your riding style is, whether it is western or English, Ariat will definitely have something for you. You might be thinking that why I chose Ariat riding boots as a topic for this blog post. Well, if you have been following my blog for some time, you must already know the reason behind this. But if you are new to this blog, then let me tell you the reason behind this. I write a lot about Ariat riding boots because it is my favorite brand. Not only because Ariat riding boots are super comfortable and stylish, but they also provide exceptional value and high performance. They are elegant and versatile. Ariat English riding boots are one of the best things that you can add to your wardrobe. I would say that buying a pair of Ariat English riding boots is a great investment and they can be very useful while riding. If you take care of them properly, you can use them for a very long time. Therefore, I always say that it is very important to carefully choose English riding boots for you. 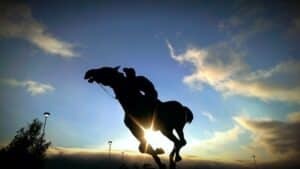 Click here to learn about little-known secrets to picking the right English horseback riding boots. 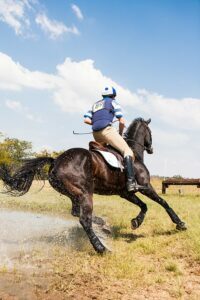 This blog post will teach you some secrets that you should consider before buying your next pair of English riding boots. Riding boots are not something that you buy every week. 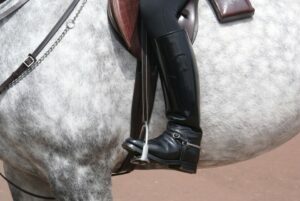 By taking proper care of the riding shoes, you can use them for a long time. But, if you will buy some sort of cheap riding boots then you won’t be able to use them for a long time. Though I do not buy riding boots very often because I take proper care of my riding boots. But, whenever, I have to buy a pair of riding boots, I always prefer Ariat. This is because when I invest my money in Ariat boots, I know that in return, I will be getting a high-performance product. The basic mission of the company was to provide high-quality rider gear to riders. But, the best thing about Ariat is that not only they have kept their mission in mind, but they also have a great fashion sense. Ariat English riding boots are very stylish and trendy and I think every cowgirl loves them. Most of the riding boots are not very comfortable. They can make your feet tired and you might also feel heavy. But, the case is opposite with Ariat. Ariat riding boots are designed by keeping your comfort and needs in mind. They are great for riding and are very comfortable. You can wear them for hours and you won’t feel heavy feet. Ariat allows you to get benefit from cushioning technology. It really helps in shock absorption whether you are walking or riding. This helps you to keep your feet safe. These boots provide you flexibility and support that you need. Made with premium quality leather, Ariat English riding boots ensure maximum performance. When you wear Ariat English riding boots, they will definitely make you stand out from others.